1987-2004 Mustang, MM Sport series shock for IRS applications, grooved to accept MM coil-over conversion kit. Intended for street-driven Mustangs with rear coil-over spring rates of 500 lb/in to 600 lb/in. MM Sport Series struts and shocks are the perfect choice for a dual-purpose car that sees aggressive street driving and occasional open-tracking. Designed to control aggressive coil-over spring rates while still maintaining good ride quality, the MM Sport struts and shocks are intended for a high performance street-driven car equipped with coil-overs. The MM Sport series rear shocks are ready to accept the MM rear coil-over conversion kit; they are manufactured with the groove in the shock body that is required by a coil-over conversion kit. All MM non-adjustable struts and shocks utilize patented mono-tube technology. Compared to twin-tube dampers, these provide better heat dissipation to keep the damper's oil cool, which decreases heat-induced damper fade. The highest nitrogen gas pressure available prevents oil foaming and fading. Every MM damper is tested on a shock dyno before leaving the factory to ensure quality. All MM rear shocks come with an integral, progressive bumpstop. 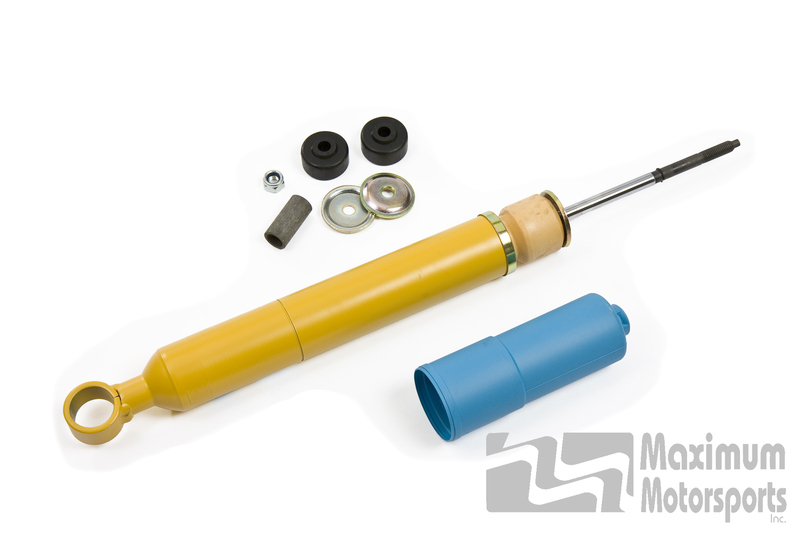 All MM rear shocks include dustcovers.